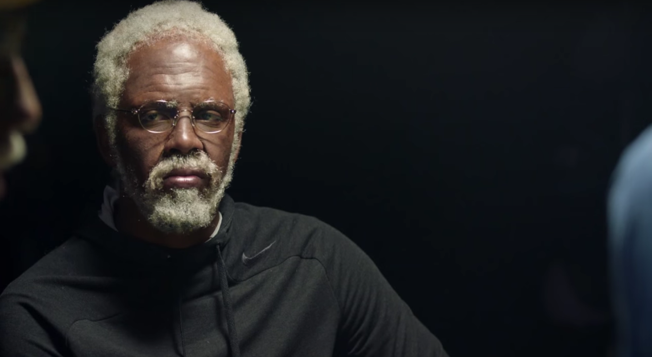 After more than two years, Pepsi is reprising its Uncle Drew campaign, starring Kyrie Irving. This time, he's schooling younguns and old-timers alike in an intense game of H.O.R.S.E. The fourth video in the hit series, themed around an NBA point guard dressed up like a cranky old man who plays basketball like the young pro he really is, launched Thursday and has already generated over 1.6 million YouTube views. The preceding video launched in October 2013, and the first two—including the wildly successful original—rolled out in 2012. At this point, the element of surprise is more or less gone. But there are subtle differences from previous installments, and the end result is entertaining enough. True to form, the new clip opens with Drew waxing philosophical on basketball, this time in Miami Beach (prior stops include Chicago and Bloomfield, N.J.). Die-hard basketball fans may get a particular kick out of watching Irving and his posse—including the golden-age alter egos of comedian J.B. Smoove and former NBA star Baron Davis—play dominos and debate the merits of historical figures like Bob Cousy, Earl Monroe and Calvin Murphy. The trash-talking eventually leads to the heart of the seven-minute clip. Rather than take on younger, more spry street-ballers in a pickup game, Irving sets off to settle a beef with "Skinny Walt," played by NBA free agent Ray Allen. It might drag on a bit at moments, but in its defense, there are some pretty spectacular victory dances.